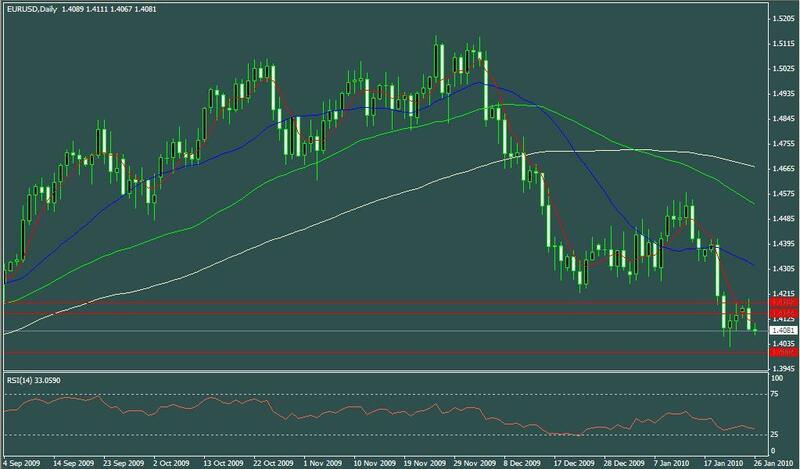 EURUSD is moving nicely towards 1.4000 level as predicted in our last two reports. Yesterday it took some retrace and gave traders another chance of selling EURUSD for 1.4000 level who might have missed out last time. Currently ay trader looking to enter will be eying an opportunity to sell EURUSD around 1.4144 level if EURUSD takes some minor retracement. Use of small trailing stop is not advised as the downward move is gradual and trailing stop might exit you earlier than expected.